In the immediate aftermath of World War II, the German state of Bavaria wrote a new constitution stating that all economic activity should serve the common good. This was a direct response to the fascism that triggered the war, the Great Depression, which gave rise to oppression and the laissez-faire economic and financial system that brought on the Great Depression. Nonetheless, Bavaria was no pioneer in advocating for the common good. Promoting general welfare is one of the bases of the United States constitution, stated in the preamble. Today, as we contemplate the terror and violence infecting our world from France, Brussels, and Bangladesh to Orlando and Dallas, the parallel with the common good cannot be ignored. Over the last three decades, we have collectively failed to make promoting general welfare a priority. Choosing instead, to support globalized financial capitalism which aims to maximize opportunities for self-interested speculators eyeing profit, bonuses, and privileges for large corporations and the global elite who control them — the same set of elite that is prepared to wage war in order to the secure natural resources. It is no secret that the winners have become more powerful and the losers have become ever more frustrated and disaffected. To a certain extent, society can handle inequality and the resulting marginalization. But what about when that threshold is surpassed? As we are now witnessing, those who have been or who feel left behind, those who are left without opportunities or hope, lash out with aggression and violence. To this end, the adoption of a “Common Good Balance Sheet“ for transnational corporations as a condition for accessing global markets. A first attempt at proposing such guidelines was made in the early 2000s by the United Nations, which drafted the “Draft Norms on the Responsibilities of Transnational Corporations and Other Business Enterprises with Regard to Human Rights.” Business associations and western governments rejected this. Now, a better and already widely used instrument – the Common Good Balance Sheet – is available and with the right backing, could become legislation under international law. The challenge could not be bigger — or more urgent. Corporations who view their primary responsibility as serving shareholders are the first who will need to step up to the plate and consider what entrepreneurial strategies and forms of cooperation will help those who have been excluded from the global economy to find opportunities and their place within it. Governments will need to look at policy instruments such as the Common Good Balance Sheet to support an agenda of human welfare and development rather than a corporate bill of rights. In sending a clear message through our actions that we are serious about focusing on a common good economy, on local development and sustainability, on fair trade and the strengthening of refugee, poverty reduction and peace programs, we will see the preachers of hatred, revenge, and divide would lose their arguments and their targets one by one. 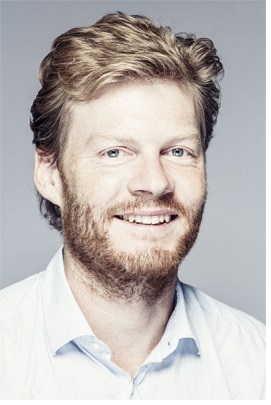 Christian Felber is the founder of The Economy For The Common Good based in Austria and the author of 15 books, including, most recently, “Change Everything: Creating an Economy For The Common Good” (Zed Books-UK, 2015; distributed in the U.S. by the University of Chicago Press). One Response to "Repurposing the Economy Can Help Stem the Tide of Terror"
Very interesting. Improve the general welfare for all and help reduce threat of terror.